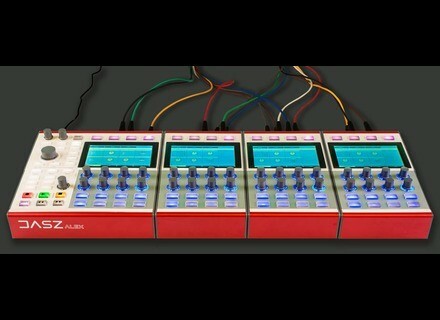 Alex, Digital Synth Rack/Sound Module from Dasz Instruments. A tour and demonstration of Dasz Instruments' Alex digital synthesizer at Musikmesse 2016. [MUSIKMESSE][VIDEO] Pioneer Toraiz SP-16 A quick tour of Pioneer's upcoming Toraiz SP-16, which features the analog filters of Dave Smith's Prophet-6. [MUSIKMESSE][VIDEO] Polyend Seq A presentation video of the Polyend Seq at the Musikmesse 2016. [MUSIKMESSE] Korg presents Pa4X Oriental series Korg has introduced the Pa4X Oriental, an oriental music-oriented series composed of a 61- and a 76-key arranger keyboards.